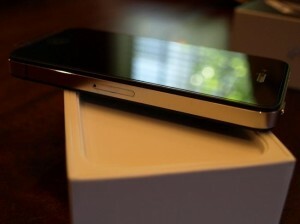 Looks like iPhone 4 though is one of the best smartphones in the block will go through its own set of troubles. According to market analysts, Apple will be compelled to recall the iphone 4 following the recent Consumer report tests that proved the “Death Grip” theory and reaffirmed that it was infact an antenna issue and was not software related. PR experts say that it is critically important for Apple to save its image as a brand intact and the antenna issue is only destroying it. Trying to wait any longer will only make it worse and Apple is expected to act soon on this issue. Apple had made a note of the issue earlier this month but insisted that the issue was caused by the way the iPhone calculates signal strength and not because of its hardware. The company has promised to send out a software patch which is yet to be seen. Apple needs to act soon before it is punished by a tarnished reputation similar to that of Toyota that has been severly punished for its slow response on fixing its car issues. Apples response to the Consumer reports has been nothing but careless and a strong response it yet to given out. Apple inorder to protect its image will have to recall the iphone and have a hardware fix done to it. This will be the most efficient and easiest to recover from a ruined reputation. Experts say that Apple will likely delay a recall and may issue a temporary patch. Regardless of the recall and even though the problem persists iPhone 4 sales are still hot in the market and is still the hottest smartphone in the market! iPhone 4 to be sued? Lawsuit might be on its way! More Design Flaws in iPhone 4 found! iPhone 4 uploads being capped by AT&T? Previous iPhone 4 uploads being capped by AT&T? Next Microsoft Outlook integrates with Facebook!